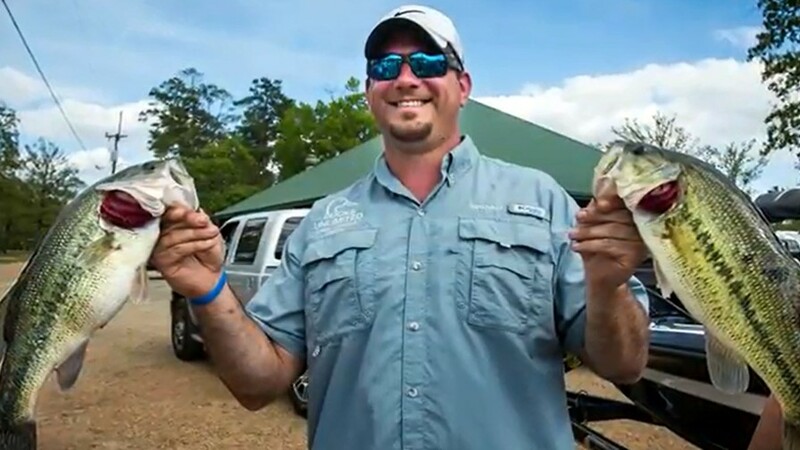 With the Sunday Morning Tournament held out of ~StowAway Marina reaching five fish limit weights of over twenty five pounds it is obvious that the bass fishing in Conroe is improving. Various attempts seem to be paying off for an improvement in Lake Conroe’s black bass fishing. The improvement has been a gradual comeback which I have noticed throughout this Spring, especially back during the spawn. 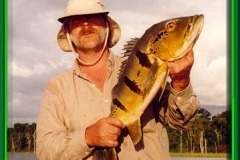 During the spawn my clients and ~I enjoyed very quality black bass fishing. Many of the spawning females that we boated were from four to five pounds. So many of the fish were in the same size range it seemed that they were all twins. The majority of these fish, if not all of them, were Florida strain black bass released by the Lake Conroe Restocking Program. Through the prespawn and spawning stages of the bass, we caught numerous males and females in shallow, a positive sign for a successful spawn. 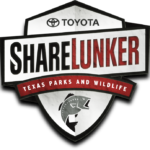 A good spawn combined with the efforts of the Lake Conroe Restocking Program can be the most influential improvement to Lake Conroe’s bass fishing. 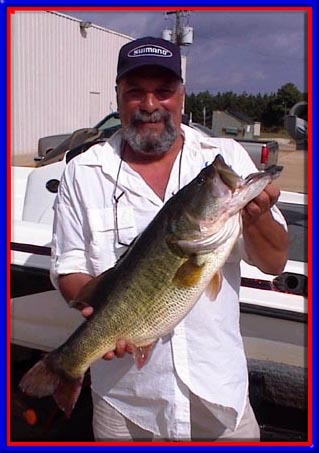 Another factor to be figured into the comeback of Conroe’s black bass is the sixteen inch limit. With more of the fish shy of the sixteen inch limit remaining in the lake since September 1, 1993 there were more of those fish able to spawn this year. 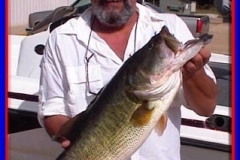 All throughout the Spring there were good reports of big bass coming to the scales. Most of the bass fishermen fishing spinnerbaits and worms along the bulkheads and shallow timber were rewarded with good catches. 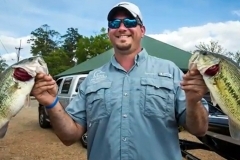 Several fish over eleven pounds were weighed this Spring and even a couple over twelve. This is proof in itself that the fish quality is improving. “Catch and Release,â€ is becoming standard among bass fishermen. 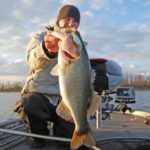 Catch and release is a way we can all work together as bass fishermen to keep up the bass population. 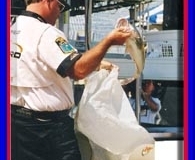 Catch and release fishing is like a restocking program in itself. This method of fishing is simple and rewarding. 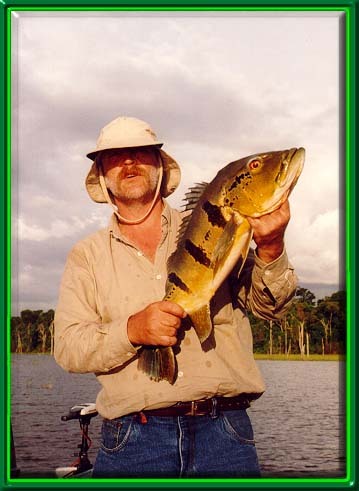 Always have a camera on hand, when the fish is caught quickly take a picture and get the fish back into the water. Revive the fish by holding its mouth open and moving the fish back and forth in the water. This rejuvenates the oxygen level in the fishâ€™ gills. Always work fast when the fish are out of the water and try to handle the fish as little as possible. The more that a fish is handied the higher the possibility of a fungus eventually growing on the fish. To catch, photo, and release a keeper or even a trophy black bass shows true sportsmanship. 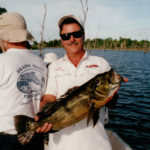 You will find this very rewarding and habit forming and if a young angler is present you will have just done the future of bass fishing a favor. After the spawn the black bass started to scatter and were not as easy to pattern. This is when I started concentrating my guide parties on catching crappie. The crappie population on Conroe this year as been incredible and long stringers of them common. Many of my clients that I take out are first time fisherpeople (men,women, and kids). To witness those people catching these crappie fast and furiously brings me great pleasure and job satisfaction. Catching fish brings the best out of people young and old. The crappie fishing has a great impact on the youngsters. There is no time for them to lose interest and they quickly become “experts” telling everyone in the boat how to catch ’em. 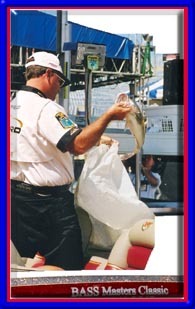 Catching one, two and sometimes even three limits of keeper crappie consists of catching four ti~mes that many fish. The short crappie to keeper crappie ratio is about four to one. Days of catching over a hundred crappie have been pretty common. All in all, the Spring and early Summer have Proved Lake Conroe to be one of the best fishing holes around. 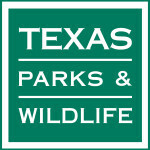 But don’t take my word for it, come on out and rediscover Lake Conroe. Good luck fishing.